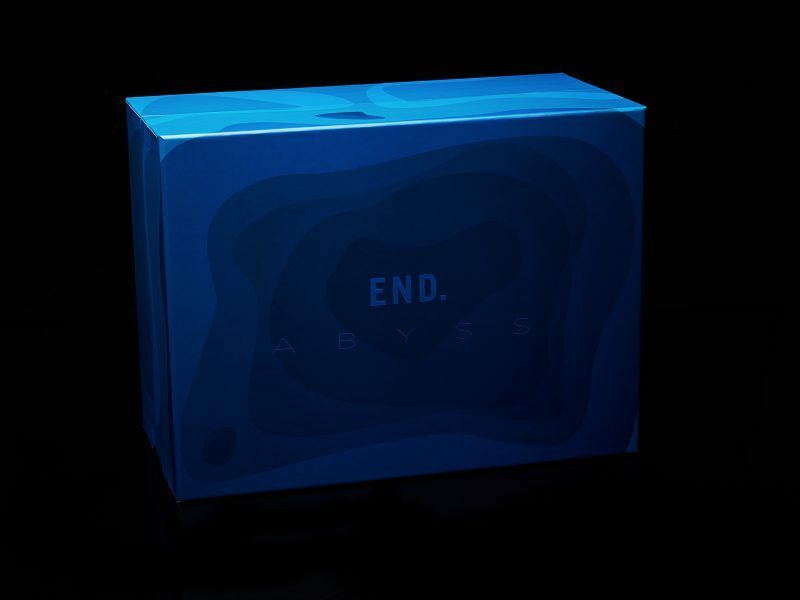 Instructed to create a limited edition box in keeping with the title of the brief END. 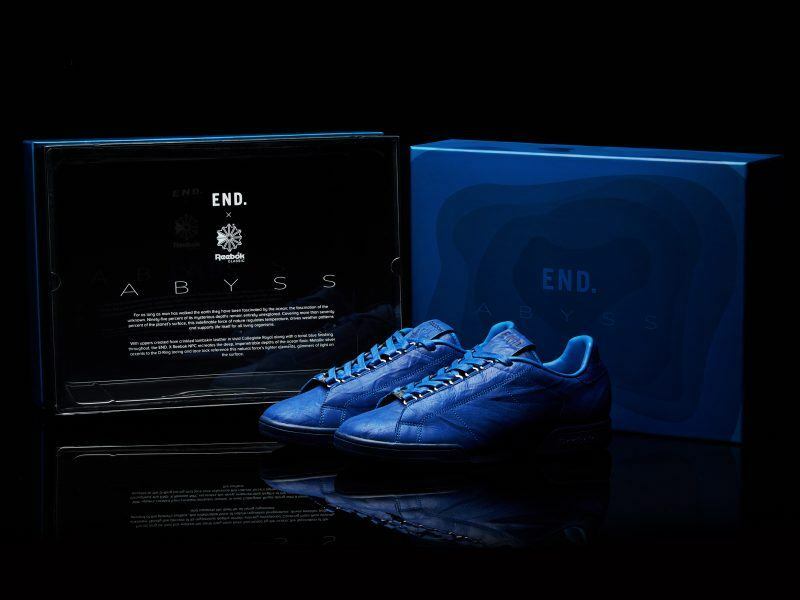 x Reebok Abyss to recreate the deep, dark depths of the ocean floor. With this vision we created a bespoke oversized rigid board box designed with a seamless lid to the base nested section. The oversize nature of the box offers immediate visual impact. The exterior of the box lid and base was wrapped in art paper and printed with a gradient theme design in 100% soft touch matt lamination and the END. logo spot UV embossed on lid surface. This bespoke box had further high spec enhancements, e.g. 100% interior printing utilising spot UV and logo embossing on the base beneath the sub section of the PET mould. The nested section revealed spot UV embossing on the gradient lines for added visual enhancement. 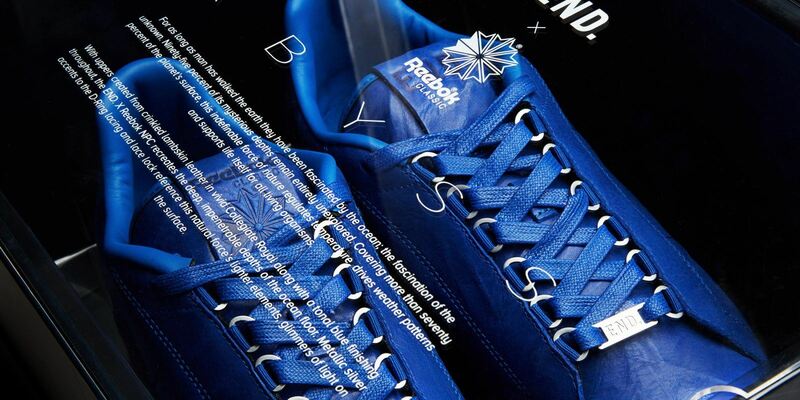 The next challenge was to come up with something a bit different on the positon of the trainers within the box. We settled upon the suspension of the trainers in the base section above the floor of the base. Drawing upon our pool of designers we initiated a 3D template to suspend the shoes using a transparent PET tray suspended from a built up rigid board section within the base. 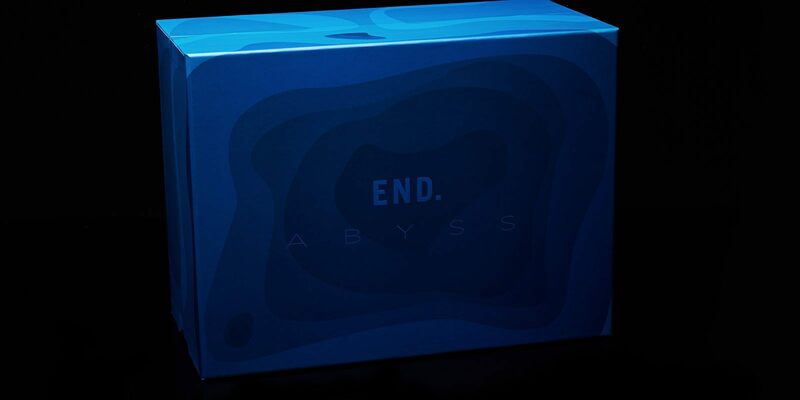 After a successful round of sampling we moved the Abyss to the production phase. Delivered well in advance of launch of the release to one of our long standing partners, END. who continually push the boundaries within bespoke high end collaborative brand packaging.